What about Sunday School? Our ministry with kids is called LOGOS and is held on Wednesday evenings for kids and parents. Meaning, LOGOS is First Lutheran’s Sunday school program. 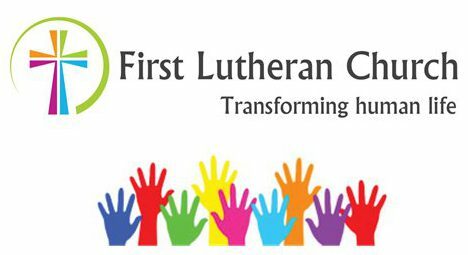 Contact Lisa Lee, lisalee@firstlutheranlodi.org, for more information about Children’s and Youth Ministry at FLC. Check out the philosophy of LOGOS here. LOGOS & Middle School Confirmation. Wednesdays, 5:30 – 7:45 p.m. for kids in pre-K to grade 8, their parents, adult mentors and high school volunteers. 5:30 p.m., Family Time – meet as a large group in the sanctuary and then move downstairs for the community meal. 6:05 p.m., Middle School Recreation Time – community-building play for middle school youth and adults. 6:30 p.m., Middle School Learning Time – Echo Bible Study and Scope and Sequence. 6:05 – 7:25 p.m., LOGOS Pre-K – Grade Five: Recreation and Learning Time rotate depending on age group. 7:30 p.m., Worship Time – All gather for worship that focuses on teaching the basic elements of the liturgy and engaging all ages in serving during worship. What should I know about Confirmation at FLC? First Lutheran Church encourages youth and their parents to participate in our confirmation ministry. Confirmation ministry and youth ministry are essentially the same thing at FLC. Youth and parents may enroll at anytime and youth can complete it by their 10th grade year. Contact Pastor Michael Lee, mlee@firstlutheranlodi.org, or the church office, office@firstlutheranlodi.org, for more information. Middle School Confirmation. Wednesdays, 5:30 – 7:45 p.m., youth grades 6-8 and their parents. Conspire High School Confirmation. Sundays, 10:00 a.m. Worship/11:30 a.m. Learning Time, for youth grades 9 – 12. ” ‘Affen Spiel’? How we Got Here” by Dr. Hans Wiersma, Video. Check out the Whole-Life Discipleship page for adult learning opportunities.